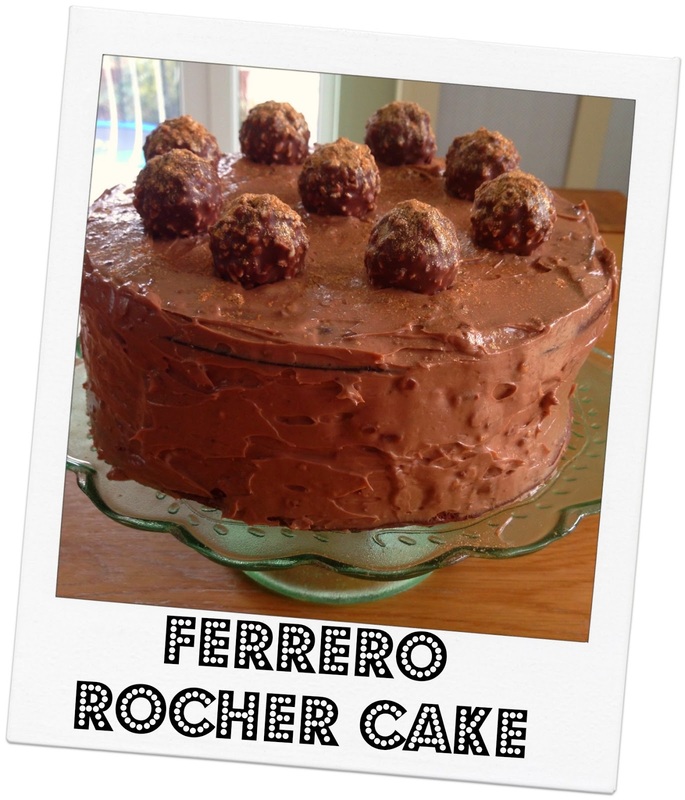 This Ferrero Rocher cake is very simple to make and the frosting is made by combing chocolate hazelnut spread with cream cheese, which makes and delicious and easy to make buttercream. Beat the egg yolks in a separate bowl and then add to the creamed butter and sugar and beat well. Finally add the chocolate spread and beat well. Add ⅓ of the dry ingredients to the creamed chocolate mixture and then add ⅓ of the milk and fold in Repeat this until all the milk and dry ingredients have been mixed in. Then carefully lightly fold into the cake batter using a metal spoon. Divide the mixture evenly between the tins and bake in centre of oven until skewer comes out clean (about 30 minutes). Let the cake cool down completely once removed from the oven. Then using the edible gold shimmer spray/powder dust each chocolate to give them their golden glow (to try and mimic their gold wrappers) and if you wanted to you could dust all of the top of the cake - the choice is yours. 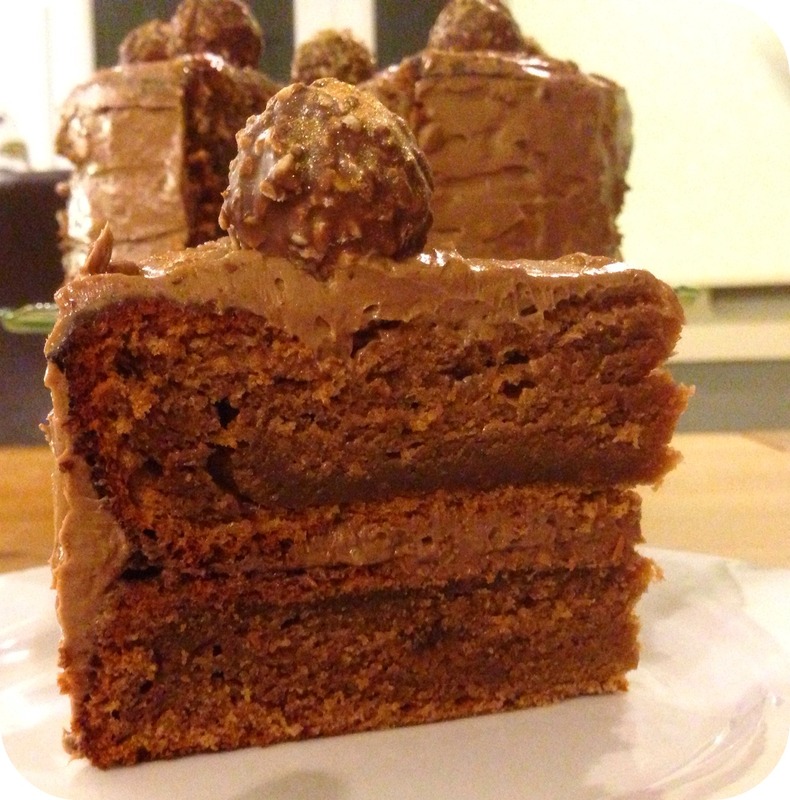 With this cake I am really spoiling you! 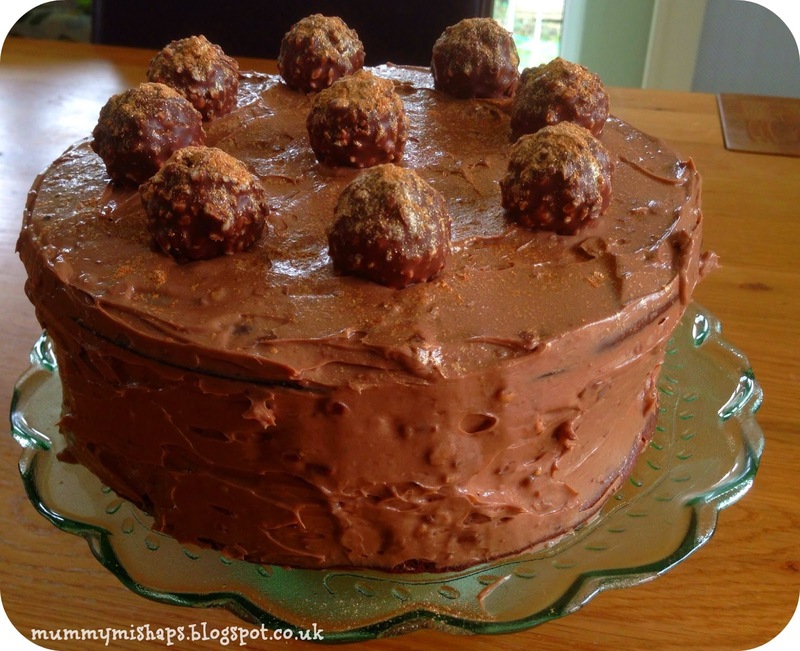 The cake looks level Jenny & I’m glad to see you’re using the cream cheese & chocolate spread idea…I definitely think it’s the best chocolate cake topping & so much easier than buttercream! That looks absolutely amazing! I am not convinced mine would look any where near as good, but I am going to give this one a try. YUMMM that cake looks amazing!! Oh that looks sooooo good! 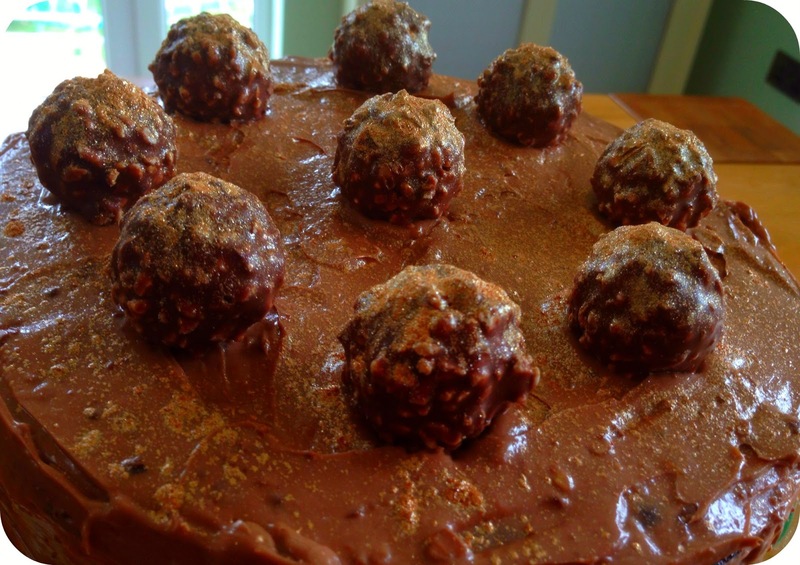 Pretty sure I need to make and eat the Rocher Cake this weekend! Looks yummy! 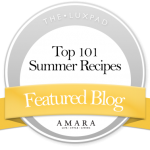 Hope you don’t mind me linking your own recipe up!